I lived the first half of my life chasing #2, and–at the expense of everything else in my life–I got there. I was successful; successful by corporate standards. The real part of the above sentence is found between the em dashes, however. There's the heart of the story. I’ve grown to understand that there is no such thing as success at the expense of everything else in life. Because when I was successful, I was a mess. I traded my life for the pursuit of success and all its trappings. And success didn’t feel very successful. So I gave it up. I radically changed everything. Now I am truly successful, as defined by the achievement of intention; #1 above. I intended to change and I did. I intended to become a writer and I am. I intended to spend more time with my parents as they transition into older age and I do. I intended to find someone to walk the path of life with and I have. I intended to be a better woman, daughter, wife, aunt, sister, niece, mentor and friend–and I am. See, now I am successful and happy. Ever learning and ever growing. Living with intention. For me, that's the real meaning of success. This post is in participation with the Group Blogging Experience, and this week’s topic is success. If you want to blog with us, go to the GBE2 Facebook page and request to join the group. Everyone is welcome. Wonderful happiness is a great measure of success!! Loved this post!! Cheers, Jenn. It is hard to live by your own definition of success and not be swayed by what society considers success. You should be proud of accomplishing the goals you set and finding your own success. I'm working on it but still have days where I see my life in terms of societal measures of success and get depressed even though most of the time I like my life. Exactly. I think everyone has a different idea of success. Mine has nothing to do with spending my life doing something I'm not interested in just so that other people can look at me and say, "Wow! She has such a successful career!" When I first read that you achieved #2, I thought...WOW...she hit the jackpot!...that is, until I continued to read and found out it was at the expense of everything else so I'm glad that you found success in everything that you wanted. If achieving fame, wealth or power is at the expense of everything else, than that seems unfair to the person who has this great accomplishment. What you found was something great and I hope that more women and men reach that success, by being able to achieve the specific goals that they have in life. Wonderful post! It amazes me to read about so many Hollywood Stars who have totally messed up social lives. Success is more than achieving number two - unless, of course, you're one of those really, really old people with bowel troubles. ;-) -Bad pun. I see so many people around me climbing the ladder (at work) and I just watch. I see the stress they are under for a few extra bucks. It's not worth it. I love my job, but I love leaving it at work, so that I can focus on what I love at home (my family and writing). This is wonderful!! It gives hope to everyone that reads it that good things are possible, can, and will happen when the time is right. You just had to find your inner peace, analyze what you really wanted, and go out and get it. Well, truly a success story. You found the key. Yes, living with intention is great! Living with intention - I really like that! Intention...I believe that you are the only one to have used that word, and I love it. It certainly isn't easy to live with intention. Good for you! Nice blog! This is a wonderful, thought-provoking post. So glad to discover your blog through your comments on Bluebell Books. Yes, how we measure success has evolved into materialistic, selfish fulfillment. We must balance our need to pay the bills and want material things with spiritual fulfillment, sharing love, giving to others, and becoming mentors. Success is multifaceted as I see it. There is the perception of others and how we see ourselves. There are levels and steps. It is lateral and ascending. Success has many definitions but the result should be a sense of contentment without complacency. We should never stop wanting to be better and never stagnate with regret of our failures. OH, Langley. Boy did I need this reiteration today!!! I am with you about defining success. We (he and I) now live our lives full of passion for ALL of it. And everything always works out just the way it's supposed to. 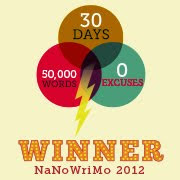 oh, almost forgot, I've given you an award today on my blog :) SWEET!